 DID YOU KNOW ONE IN FOUR DACHSHUNDS WILL EXPERIENCE A BACK PROBLEM? INTERVERTEBRAL DISC DEGENERATION (IVDD) IS A GENETIC DISORDER THAT CAUSES A DISEASE PROCESS IN THE INTERVERTEBRAL DISCS OF THE SPINAL CORD. These discs are located in-between each of the vertebra in the spine of mammals. They are very watery in consistency. They function as pillows – shock absorbers – for the spine, allowing the mammal’s back to flex. 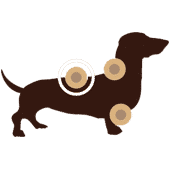 When a dog has IVDD type 1 (IVDD-1), over time, the discs dry out and are more or less replaced with cartilage and their ability to function correctly is therefore decreased. 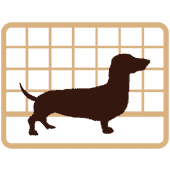 It has been demonstrated for years that IVDD-1 shows up reliably in certain families of dachshunds, and over three years ago, at least one generic basic was found for the disorder. 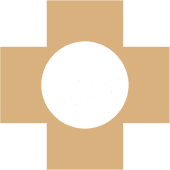 Interestingly, researchers also discovered that IVDD-1 does NOT seem to be directly related to what causes the type of dwarfism seen in dachshunds, bassets hound, corgis, and a number of other breeds, called hypochondroplasia. 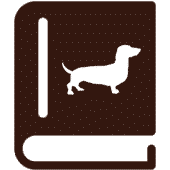 This is great news because it does NOT mean all dogs with short legs and long bodies are affected with IVDD-1 – in fact most aren’t.  Dachshunds unfortunately, just happen to account for the majority of dogs with the genetic condition. WHEN IT COMES TO IVDD, EDUCATION IS KEY! Thankfully, veterinary medicine has come a long way, and IVDD is no longer a death sentence for affected dogs. 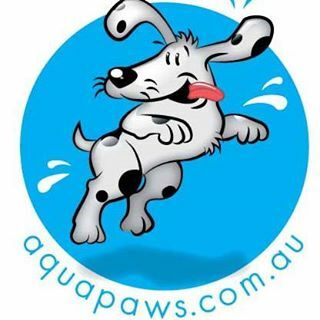 By clicking on the below links, you can learn about ways you can go about preventing a serious disc episode, what to do in an emergency, how to recognise the signs and symptoms of IVDD, what treatment options are available to you and your dog and loads more. AT DISA, AWARENESS, EDUCATION & SUPPORT ARE OUR KEY GOALS. 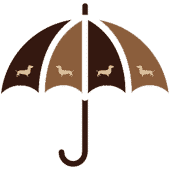 AS A COLLECTIVE, WE TRUST THAT OUR GUIDANCE AND SUPPORT MAY ASSIST OWNERS IN MAKING WELL INFORMED DECISIONS REGARDING THE CARE AND/OR TREATMENT OF DACHSHUNDS WHEN IT COMES TO THE GENETIC CONDITION THAT IS IVDD. THANK YOU FOR HAVING OUR BACKS! 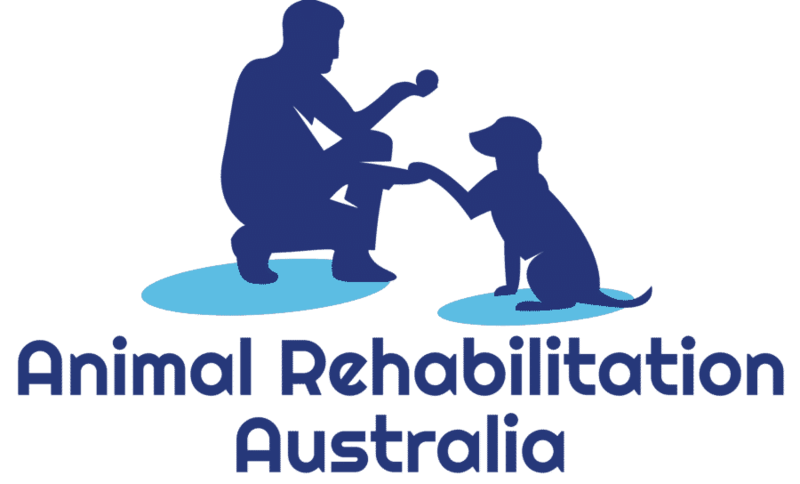 Being a Supporter of DISA enables us to continue spreading awareness, education and support to owners of dachshunds Australia wide.